#EpicThings 1 and 2!! 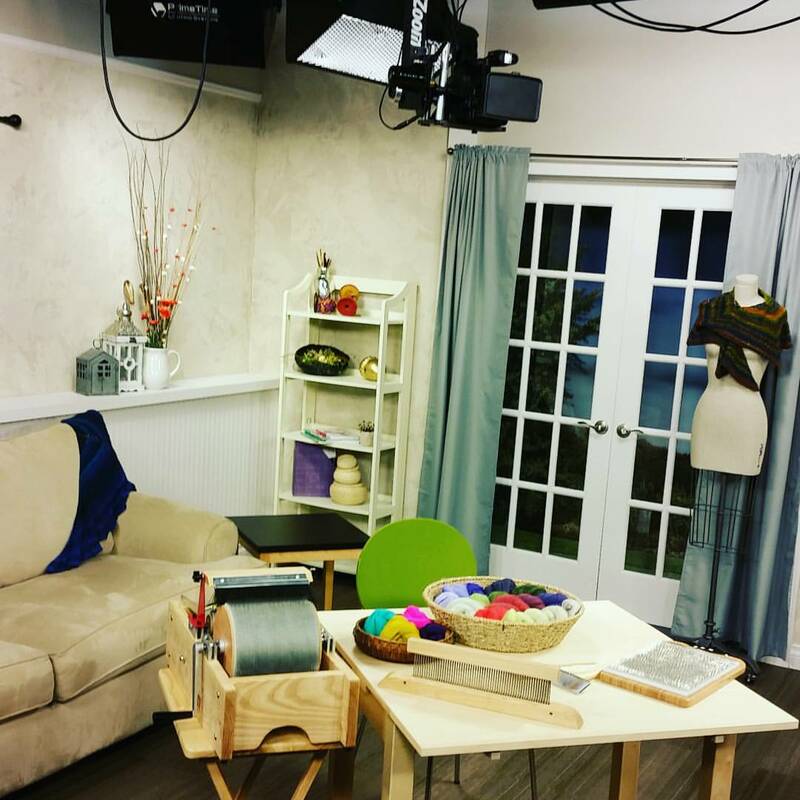 Interweave Videos are Coming!! I know I have been quiet over the last couple of months. I have been hinting at some pretty #epicthings happening here, behind the scenes. I’ve talked about the process to build the addition that will be my studio… and now I can announce 2 of the biggest- my first INTERWEAVE PRESS VIDEOS!!! I am so excited about these videos!! You might recognize Interweave as the publishers behind some of your favorite spinning and knitting books, magazines and videos. Books like Abby Franquemont’s Respect the Spindle, Jacey Bogg’s Spin Art, Videos like Judith McKenzie’s Three Bags Full and Jillian Moreano’s 12 ways to spin batts.. Of course magazines like Spin Off, Knitter and Knitscene!! I am so excited to be a part of their family!! The folks at interweave are amazing and it was so fun to shoot these videos! I’m already planning my next ones!! So the first video is all about creating fiber progressions that stripe on drum carders, hackles and blending boards. 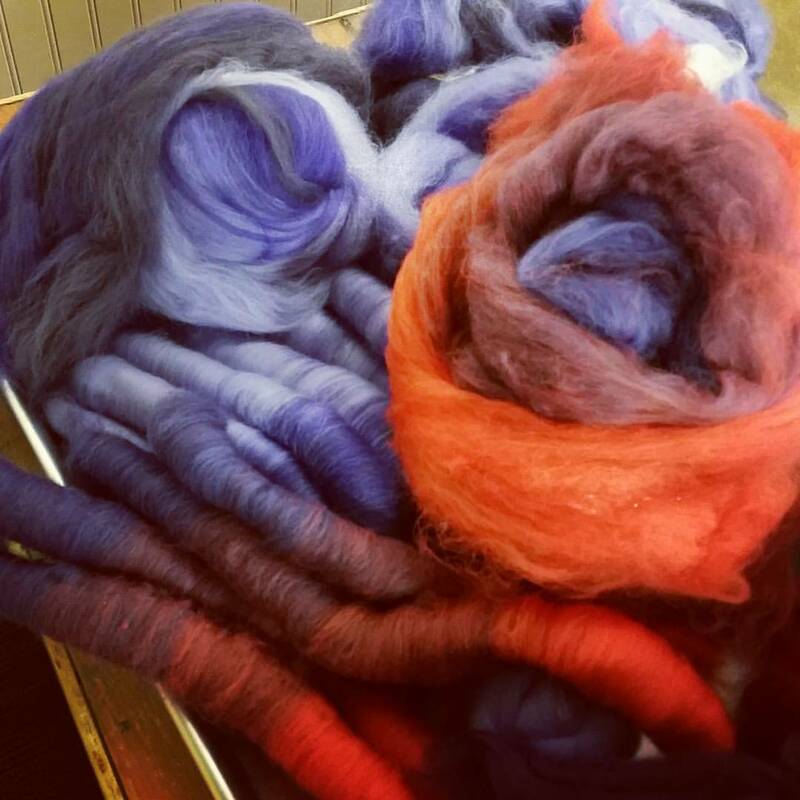 and 3 different ways to spin those colorways. I also go through the difference between progression, ombre and gradient. I am blessed to have amazing friends who gifted me with their talent in spinning, weaving and knitting some amazing samples for me. 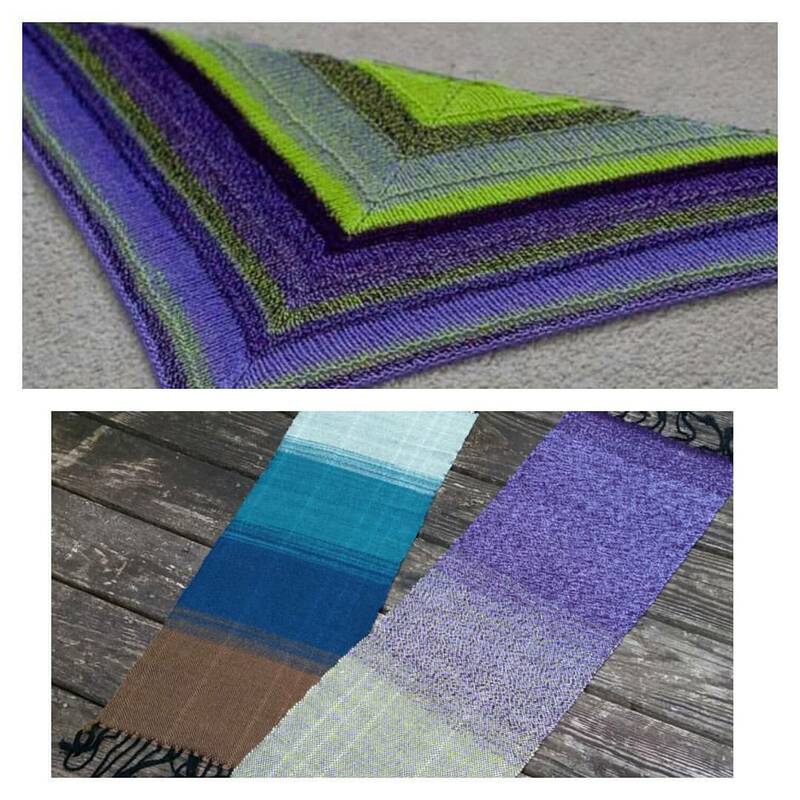 Bren Boone from SnerbYarn spun and knit 2 sample fractal shawls for me.. one that lives on the set and one that is used in the content. Weaver extraordinaire Debbie Bland also spun and wove these 2 progression samples. The second video I filmed is about spinning art yarn! I was able to get some behind the scenes shots from the Art Yarn day.. here’s a peek of what’s coming. Hoping for drop dates in the Fall!! Terrific! More great video content to buy from Interweave. Really looking forward to these. Congratulations Esther! I can’t wait to add them to my library…..